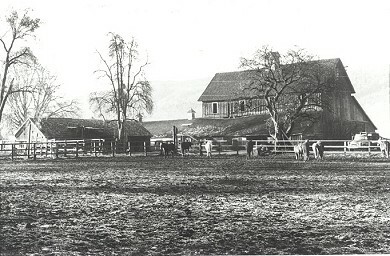 In 1983, Pickering Barn was placed on the National Register of Historic Places. 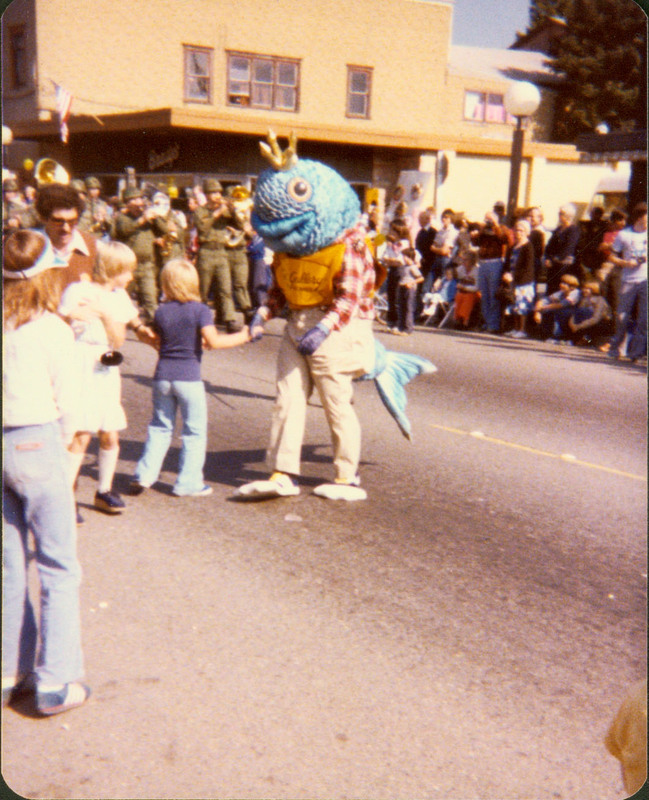 King Salmon greeted children during the 1981 Salmon Days Parade. In 1980, Issaquah’s Waterhole Tavern blew up, leaving many suspicious of mob activity. In 1979, the Issaquah Alps Club was founded. 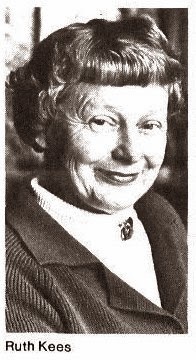 Ruth Kees was one of the founding members, along with Harvey Manning. 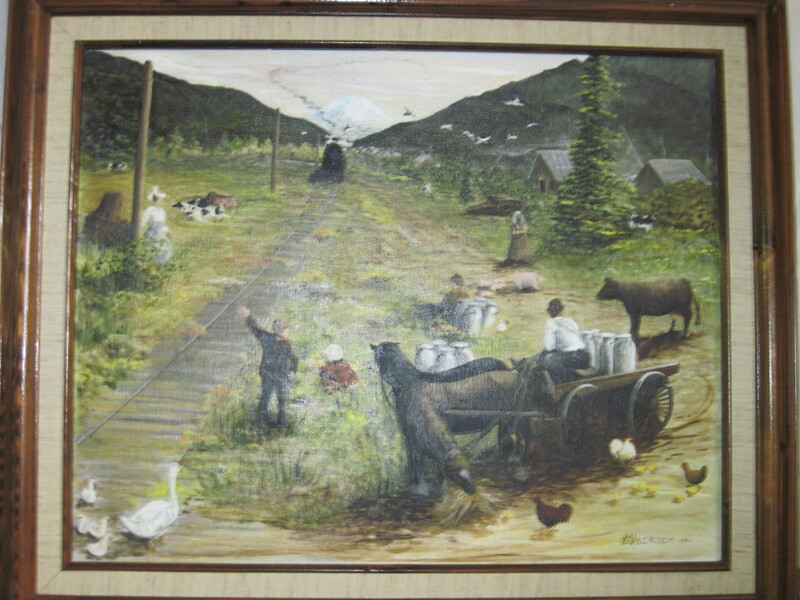 Ruth shared some of her memories of this time in Issaquah’s history during a 2006 oral history project. Read more! 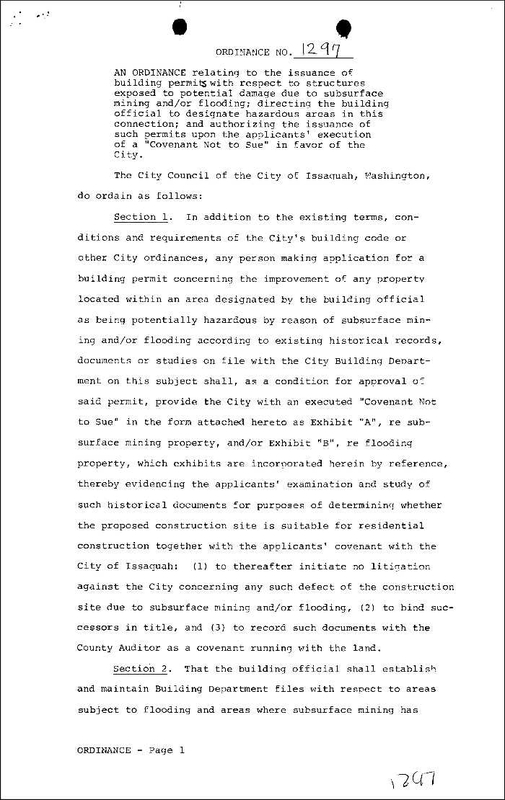 In 1978, Issaquah passed Ordinance 1297, which deals the the remnants of Issaquah’s mining heritage: “An ordinance relating to the issuance of building permits with respect to structures exposed to potential damage due to subsurface mining and/or flooding; directing the building official to designate hazardous areas in this connection; an authorizing the issuance of such permits upon the applicants’ execution of a ‘Covenant Not to Sue’ in favor of the City.” You can find this, and other ordinances, at the City of Issaquah’s Document Center. 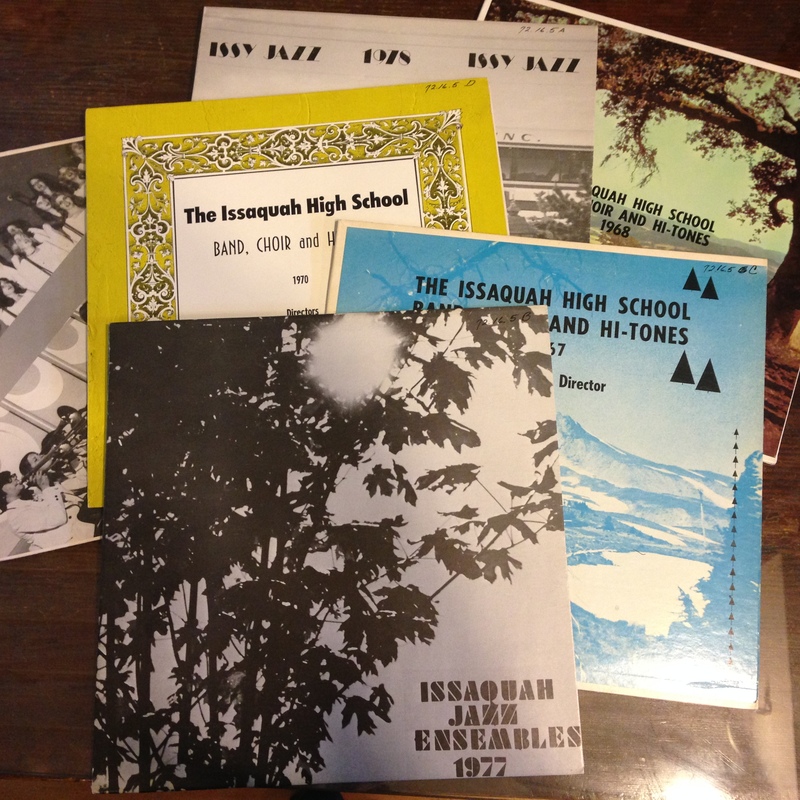 The Issaquah High School Jazz band, led by William Klein, put out annual albums between the late 1960s and late 1970s. In 1976, the Seattle Biomedical Center (today’s Center for Infectious Disease Research, in Seattle) was created — in Issaquah! During the course of 1975 the Issaquah trestle was slowly dismantled to make way for an I-90 overpass. 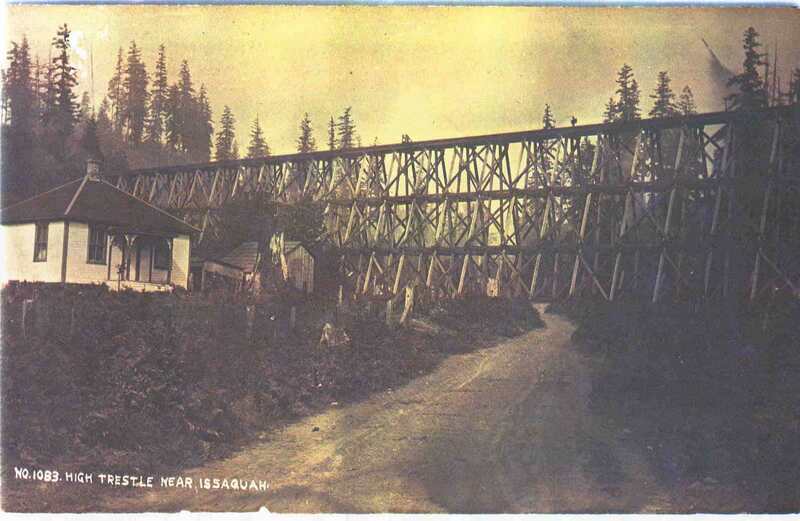 For many, the trestle was a symbol of Issaquah’s identity as an active railroad town. Rapid development encouraged concerned citizens to found Issaquah Residents for Environmental Quality (IREQ) in the 1970s. IREQ strove to improve the quality of life in a quickly growing Issaquah. One of their great victories was a reformed sign code that prevented billboards from marring the landscape. 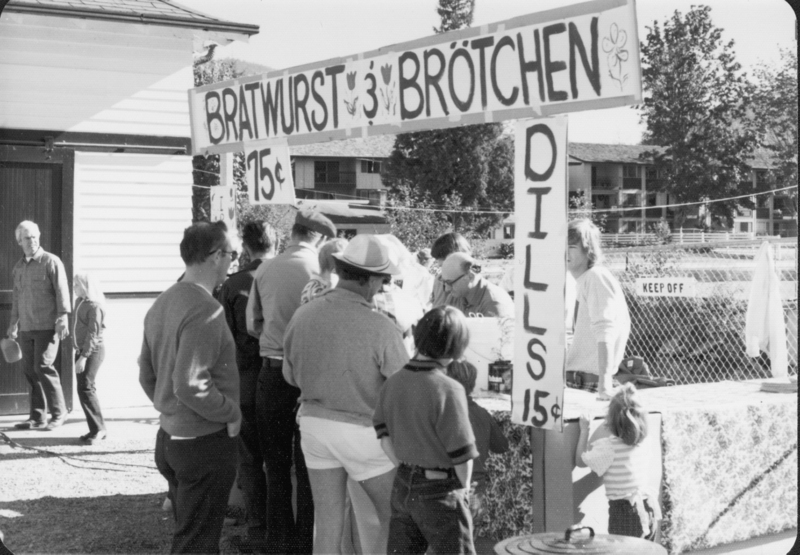 As a fundraiser, IREQ sold bratwurst and other snacks during Salmon Days.